Went out this past weekend here in Colorado to enjoy what might be one final hike before the snow sets in and stays in till next June. We usually take the Wrangler out for any serious off roading, but finally got the Grand Cherokee off pavement this year (yeah ,yeah, we know) and drove up to Kite Lake / the trail-head for Mt. Democrat, one of Colorado’s 14ers. 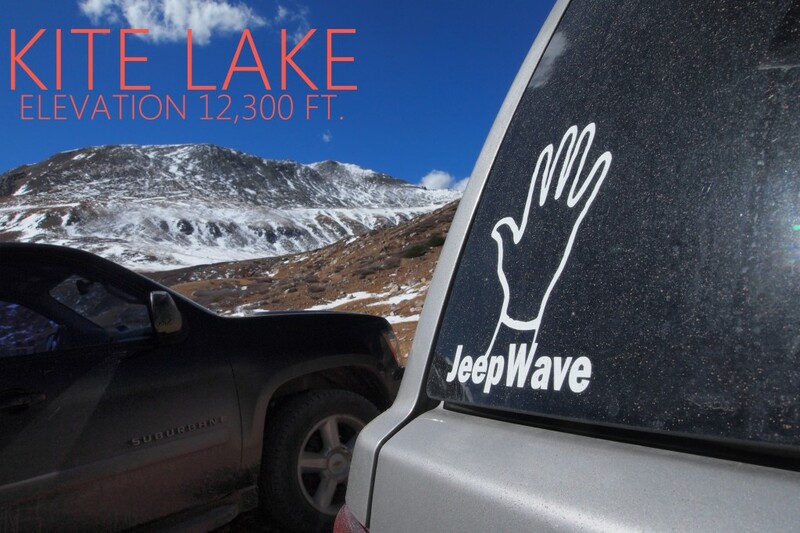 Kite Lake sits at around 12,300ft, easily accessible by most vehicles with decent clearance. That said, mashing the gas and whipping up the road was fun, especially watching the two other vehicles we saw putter around the holes and mud puddles. So, no serious off roading to speak of, but it reminded us that Jeeps might not be the reason you’re going somewhere, but they’re damn good at getting you where you wanna go…and now some pics of the surrounding area.